Please note: this is from construction. Walls are now covered. The Bluestone Room presents a unique blend of historic and hip, making creative use of vibrant colour and design. The spacious layout of this beautifully renovated venue features polished floorboards, timber ceilings and leather upholstery. 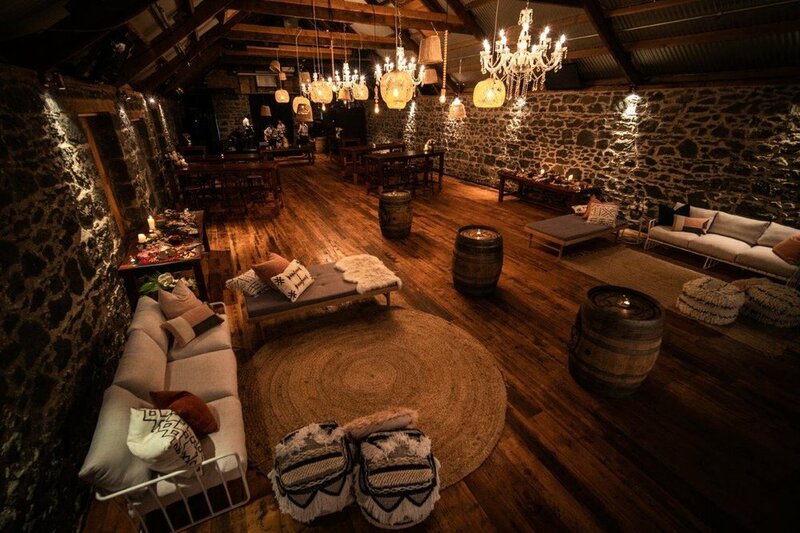 With its rough-hewn stone floor entrance way, native Kauri timber ceiling beams and eye catching wood wall panels atop the bare volcanic stone walls, The Bluestone Room has an immediate impact on all those who enter.